When it comes to upgrades and modifications for our jeeps, we all want to do it ourselves and get our hands dirty. When you love your jeep, you take pride in everything that goes into it. As women, we tend to ask our guys to do it for us; but not this girl! I want to learn all I can and take pride in doing it myself. Pat yourself on the backs ladies and gentlemen because this install is something you can do. 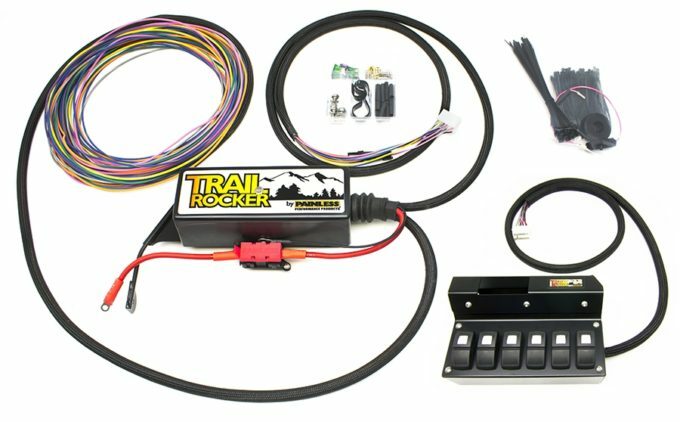 Wire up your own switches with the Trail Rocker Relay Center from Painless! 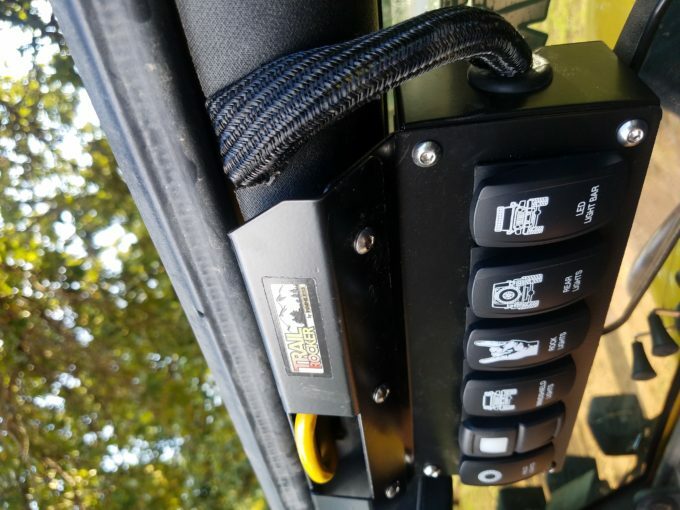 It allows you to control up to eight accessories on your JK, from lights to air lockers. 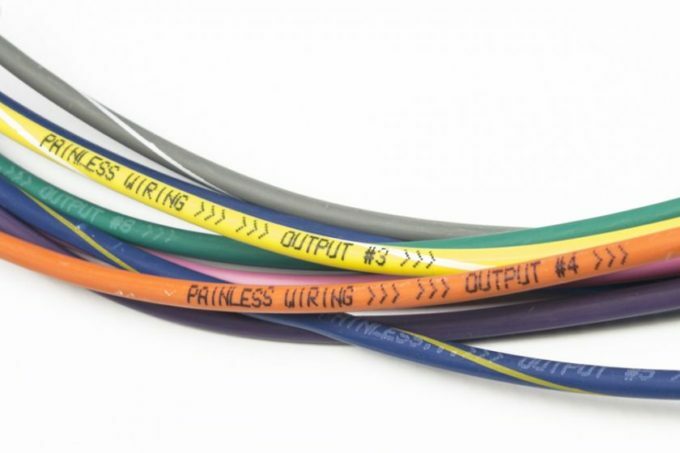 Painless Performance Products prides themselves on their easy, user friendly, D.I.Y products that anyone can install with a plug and play design. As mentioned, this unit controls up to 8 accessories with 8- 30 amp fuses and 8- 30 amp relays and it works with both manual and automatic transmissions. The relay box itself is enclosed in a weatherproof housing and mounts under your hood. 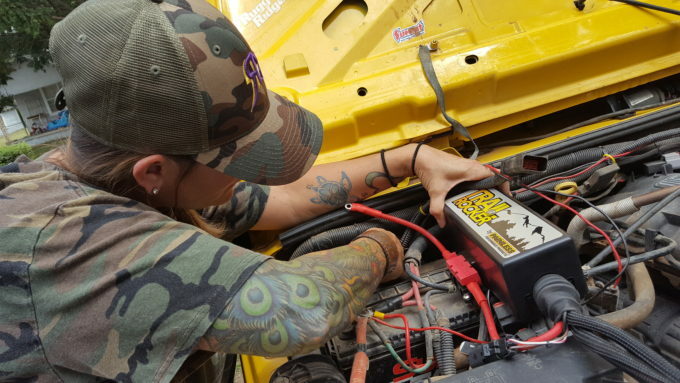 It comes with a fused power source with a 200 amp MIDI fuse, features all american made wiring with 21 feet of wire to reach any 12-volt accessory for your rig or race car, all the while being very easy to install with their custom installation instructions. The manual is colorful, has lots of big pictures as well as identifies every tool you will need at each step. The Trail Rocker comes in a big box with everything you will need (besides tools), down to shrink wrap and the good ol’ zip ties! Everything is separated and labeled for ease, right out of the box so that you can get started right away without having to run to the parts store to get what you need to make it neat and tidy. As with any aftermarket product, the first thing you must do of course is read the instructions…. WAIT….WHAT? Yes I said it, read the instructions!!! The book is so easy to read and eliminates guessing as to what tools you will need. It takes the install step by step, picture by picture, tool by tool. There is no reason not to use the instruction booklet because it is that easy! I don’t ever dive into electrical mods’ because they scare me and I’m afraid of blowing up things. You know those jeeps you see that have electrical “flare” ups? Yeah, those are mine. I did however have a little bit of assistance and supervision on this project, to ensure I didn’t blow the battery up. 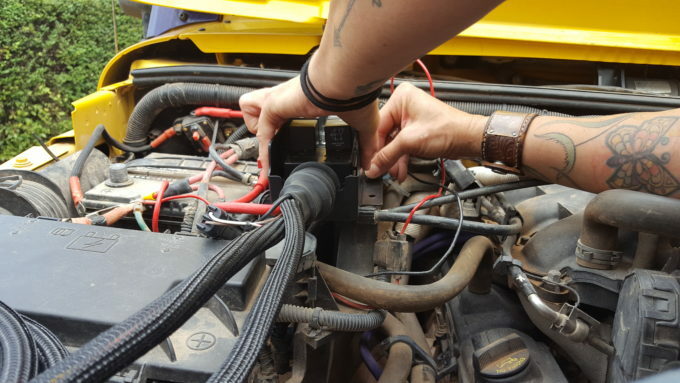 We all know when you work with electrical modifications on a vehicle, we must disconnect the battery because if not, that is where I make sparks! So securing the battery cables out of the way before you jump in is critical. 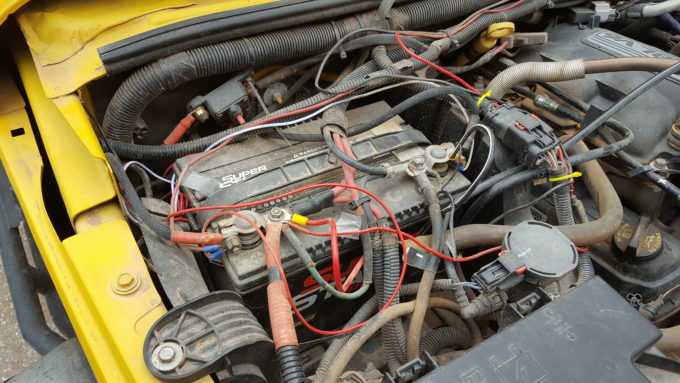 Those dreaded sparks and clicking noises make us all jump…not good! I am extra careful to not make sparks! I dove right in and reworked the many devices that were connected to my battery to prepare to mount the relay box next to my battery. 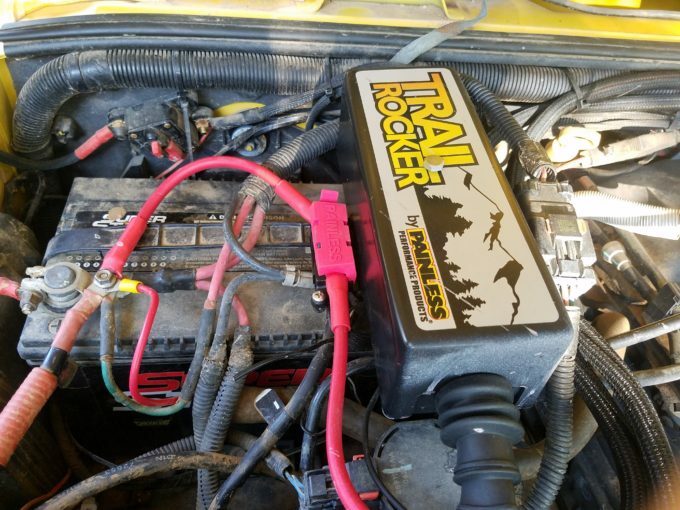 “Rockstar” is an ‘09 JK and the battery fits along the back firewall, unlike the 2012 to newer JKs that have the battery along the side fender wall. It was a bit of a challenge maneuvering some wiring around to fit. 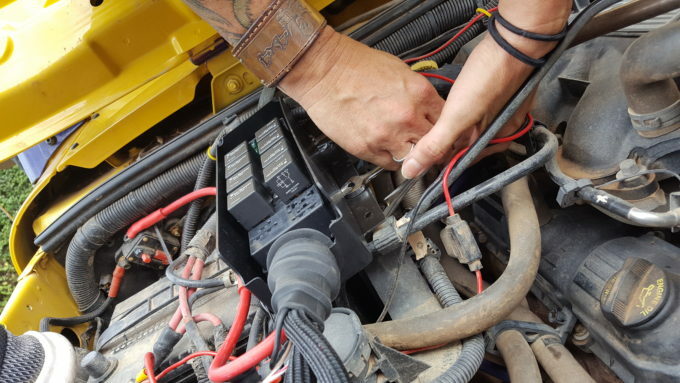 Keep in mind that the relay box does mount over the top of the negative post of the battery, so later I will have to figure out how to move it over a bit later if I need a jump start or have to change out my battery. 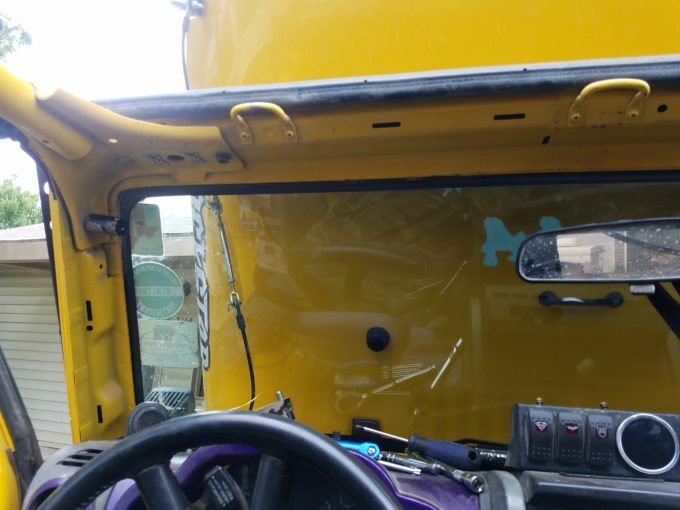 The harnesses come with a good length of wire to fit through the drivers side fire wall panel to connect the switch box. Even the wires have helpful labels directly on them! The next part is a little more labor intensive, because I have so many accessories along my headliner. I had to take everything off to be able to remove the visors and plastic headliner pieces. To fit the harness under and out of it you have to drill out a piece to get the wire harness to fit. We all know how wonderful it is to get those little screws to get back on the sun visors! Then I had to put all my accessories back on and viola! The next job was to attach the wiring for my lights and other accessories to the clearly marked relays. I did have to ground all the accessories myself as well. But don’t worry, all the wires are there to make it easy to get them hooked up to the relays and wired right in. 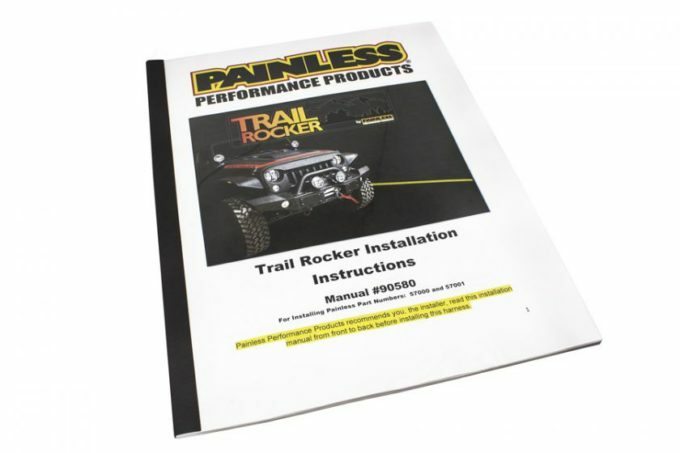 Painless also makes an option that you can purchase to hook up the winch to the Trail Rocker as well. Now you have all your accessories in one spot and your ready to take on the trails!! I did buy some custom rocker switches with cool switch markers on them to customize the rocker panel! The install was clean and cleared out a huge wiring mess I had going on. The entire process can take 4 to 5 hours by yourself, if you do not have many accessories to hook up. If you have more than a few, like me, it will take you a bit longer. 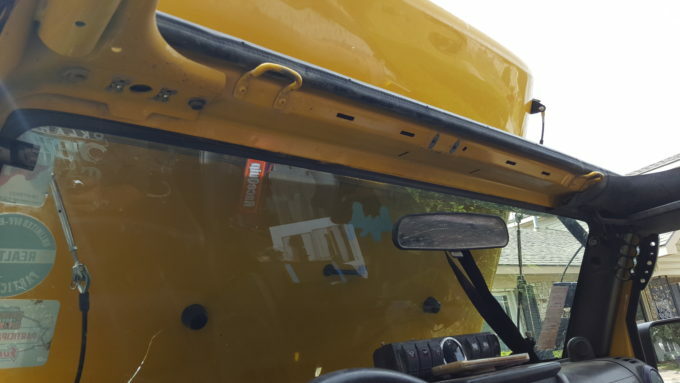 If you are installing this on a new Jeep (one without a ton of accessories already installed) this is an easy project! Because of the high quality of materials and very instructive manual, I rate this accessory 5 out of 5 Jeeps! How does this one compare to the sPod? I have been looking for a unit like this for a while and trying to make the decision on one or the other. Nice install, clean and nice write-up on this. Hi! Thank you! Well I havent had an sPod , but I have had an off brand type of device. And I would have to look into it to be more accurate in my comparison. I do assume it is simular to the off-brand I have. I do know the placement under the hood is different and I think It can mount different places in the inside of the vehicle. BUT again I would have to explore more to compare better! Thank you for reading! Great article Jessy! I have always been curious about this brand. Much like Todd, I am curious how it stacks up against the sPod. Do you mind posting a thread about it on the forum? Hi! Thank you so much! Yes I would be glad to explore comparisons on the 2. I do not personally own an sPod , I do however own an off-brand similar to the spod. But I cant accurately rate the sPod until I do some checking , We can certainly have a thread to do that. Thank you for reading! 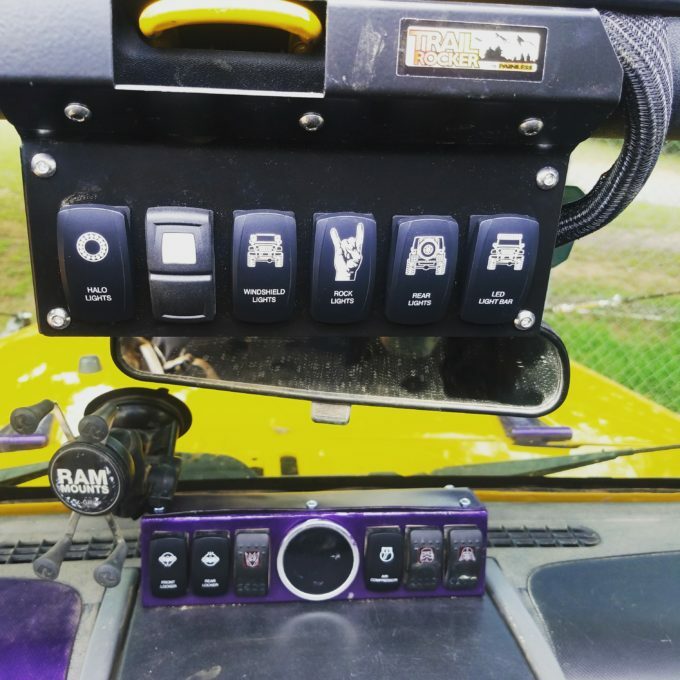 I’m interested in knowing more about your dash-top switch panel there. My Tuffy overhead CB console won’t let me run a typical header-mounted switch panel. 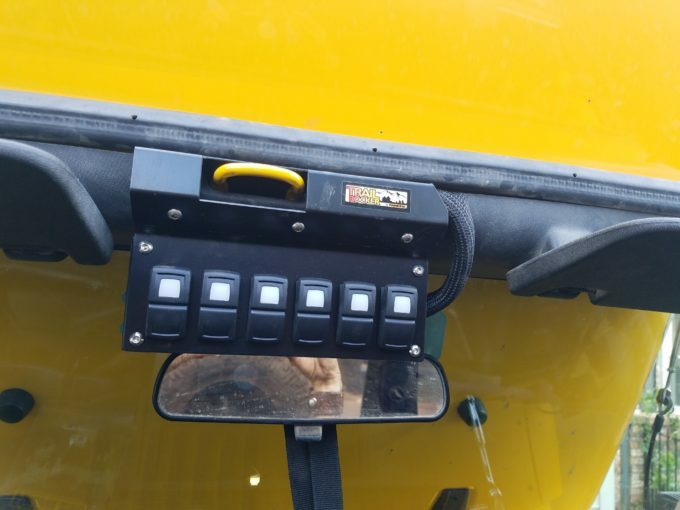 I’d thought about putting four switches on running the Trail Rocker, with four switches on the A-pillar and four on the lower dash, but it’d be nice to mount them all together. Is that a custom box? Looks like the Apollointech system inside it.